What type of services are provided by the Eastern Shore Community Services Board (ESCSB)? ESCSB provides a full array of behavioral healthcare services to citizens throughout their lifespan. We are just a phone call away. Click here to read more about the services provided by the Eastern Shore Community Services Board. How do I begin receiving mental health or substance abuse services from the ESCSB? What should I do if a member of my family needs services? Who should I call? The receptionist will take information such as your name, birthdate, address, and presenting problem over the phone. She will then schedule you for an intake assessment if appropriate for your concerns. Where are the initial mental health assessments scheduled? What happens if I need inpatient treatment for my mental health condition? The ESCSB does not provide inpatient mental health treatment. An emergency services clinician will assess your condition and if you have no insurance benefits, help locate a state funded bed in a psychiatric facility in Tidewater, Virginia for you. How can I be assured that my health information will be confidential? All staff members at the ESCSB are bound by federal and state laws regarding an individual’s health information. All staff members are educated about these laws yearly and held to the highest standard regarding confidentiality of health information. Where are your facilities located? How do I contact them? For your convenience, we have put together a full list of Eastern Shore Community Services Board facilities with contact information. There is also a photo to help you recognize the building. Does the ESCSB provide inpatient substance abuse treatment? The ESCSB does not operate an inpatient substance abuse program. However, the ESCSB does receive limited funding from the state and the federal government to help individuals pay for inpatient substance abuse treatment when it is needed. Depending on the availability of funds, the ESCSB contracts with several inpatient programs and/or detox programs in Virginia to provide this service. What should I do in the case of a mental health or substance abuse emergency? Emergency services clinicians are on-call 24 hours a day, 7 days a week. During business hours (8:30 am to 5:00 pm) you may call 757-442-7707 or come to the Nassawadox Counseling Center for Emergency services located at 10106 Pine Ave. Nassawadox, VA 23413.  After business hours you should call 757-442-7707 and ask to speak to the emergency services clinician on call. The clinician will return your call. Who do I ask for when I call for any type of developmental disability services? You may call 757-442-3933 and ask to speak with a Case Manager regarding interest in our services. Where are case management services located? There is normally a waiting list for residential and day support services. The Infant Intervention program cannot have a waiting list so services start immediately. Case Management can usually be provided within 6 weeks or sooner. Can I tour the residential homes and day program? Yes! We encourage potential participants to visit our facilities and tours can be arranged by a Case Manager. Even if Medicaid pays for services will I have to pay anything? In a few cases there may be a patient pay obligation; however, this is not the majority of situations. Income governs this which is determined by the Department of Social Services. Who do I call in if I have an emergency involving developmental disabilities? Depending on the situation, you could call the ESCSB Emergency Services Department at 757-442-7707 or Case Management at 757-442-3933. Emergency Services operates 24/7 and handles mental health emergencies which sometimes occur in persons with a diagnosis of developmental disability AND mental illness. All other emergencies should be directed to Case Management. By calling Case Management Services, you can receive assistance with any questions you may have. If we are unable to assist or are not the appropriate agency to help you, we will direct you to other resources who may be able to provide the assistance you need. I want to do something to keep my children from getting involved with alcohol and other drugs. Is there a program that can help me? ESCSB’s Office of Prevention Services provides primary substance abuse prevention services to youth ages 3-17 and their parents. Through a variety of community and school-based programs and activities that are intended to support families and youth experiencing high levels of risk, we work with children and their parents to help prevent substance abuse. For more details about our programs and how to apply, please visit our Prevention Services web page. Each service is billed on a fee for service basis. Depending on the service, there are different costs associated with each service. When you come for your intake assessment, you will meet with a financial staff member who will determine if you have insurance which can be billed for our services. If you have no insurance benefits, the financial staff member will determine the cost based on your ability to pay. Your ability to pay is determined based on income and number of individuals in your family. When am I expected to pay for my services? Payment is due at the time you receive your service. If you have health insurance, we will bill your insurance carrier at the full rate of service. It will be your responsibility to pay any deductible as well as any co-payment. What should I do if I don't have insurance? Is there a fee schedule? I don’t have transportation. Can someone help me keep my appointment? ESCSB provides transportation services for those needing it. Please call (757) 665-1260 ext. 103 if you need to arrange for transportation to an appointment. How can I find out if there are any jobs available at the ESCSB? 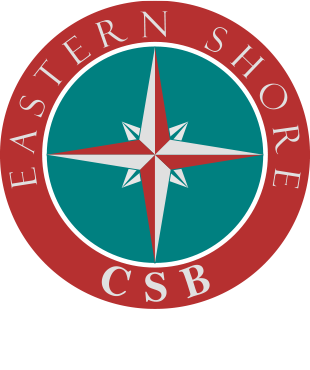 You may visit the ESCSB Careers Page of this website where you will find a list of all open jobs at the Eastern Shore Community Services Board. We have also posted all of our open positions on this website and you can view open jobs here. Directions for submitting your application as well as lists of required supplemental information (licenses, etc.) are included within each job posting. A thoroughly completed application must be submitted for each position of interest to you. There is also an application form that you can download. The application is required; resumes may be sent as a supplement to the application but will not be accepted alone.